I love working in Brighton. Why? Because I can network at The Farm or Vine Brighton, communicate with a wide web of new media professionals via the Brighton New Media email list (plus the BNM website is great for monitoring everyone’s blogs) and keep up with business matters and community affairs with Project Brighton, Sussex Digital and Wired Sussex. But best of all is The Werks, Brighton’s best office space. Designed to meet the needs of freelancers and small businesses, The Werks combines normal office space with flexible coworking space for freelancers like me. So I can drop in and work whenever I need an office and some Wi-Fi. But the really great thing about The Werks is the friendly and helpful people who work there, and who create a space that is dynamic, innovative and nurturing. If you work from home and ever fancy getting out and working with link-minded people, I urge you to give it a try. 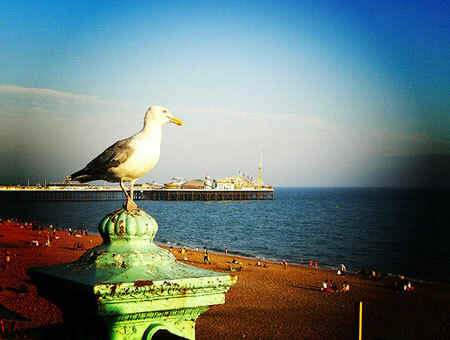 On top of all that, there is the unique Brighton atmosphere: idiosyncratic, freewheeling, creative, coastal, fun-loving, passionate and bold.